Bord na Móna has welcomed a new fleet of 15 branded lorries to the UK, in a bid to boost brand awareness as it embarks on its most promising season in the UK market to date. 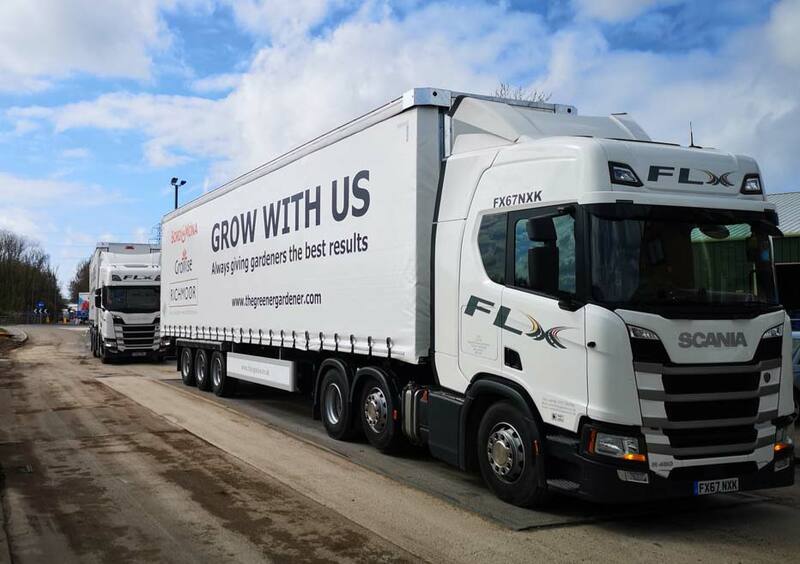 The 44-tonne lorries, which can transport up to 22 pallets of product at a time, made their first journeys today from White Moss Horticulture, the company’s distribution site near Liverpool. The new fleet will fulfil deliveries up and down the country and help to build brand visibility for the growing media supplier across both Bord na Móna Growise and Richmoor ranges.